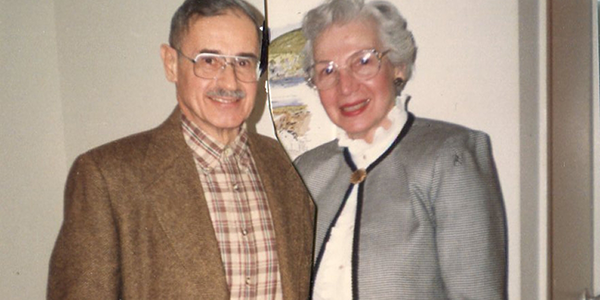 Gloria and Hans Schott lived in Philadelphia for most of their married life, which spanned 60 years. Theirs was a relationship that was built on a life-long love of science and commitment to Israel. Hans was born in Germany. His family fled Nazi Germany in 1936 to Brazil, and Hans came to the United States for graduate school and met Gloria while working in New Haven, Connecticut. The couple lived in Fort Lee, NJ and in Wisconsin, before settling in Philadelphia. Sadly, Gloria passed away in January 2014 and Hans passed away three months later in March. The couple left a bequest to Jewish National Fund. "They were a very private couple," said Barbara Tabachnick, Gloria's sister. "We knew they wanted to give their money to Israel. Hans' family had to escape Hitler and Israel became central to his thinking. Gloria and I were brought up with the little Blue Box in the kitchen, so that memory may have sparked their connection to JNF." A researcher, Hans worked in the area of chemistry and polymers going from the private sector to government, and eventually into academia, a reverse of what most people do. "He often said that in his lab is where he felt closest to God," said Joan Tabachnick, Gloria and Hans' niece. Gloria was Hans' helpmate, a woman who Joan described as warm, welcoming and intensely curious. Her life was devoted to helping him. She too worked most of her adult life in science administration, but she also typed up all his papers and was the one to learn how to use a computer. "Without her, his research would not have flourished as quickly," said Barbara. "Hans always had a paper he wanted to write. Even after he retired and couldn't be in the lab anymore, he had so much research in his files that he wanted to publish. That was his life." The Schott's bequest will fund the Research and Alternative Energy and Environmental Sciences Center in the Arava, currently under construction. In addition to conducting research, the center, which will bear Gloria and Hans' name, will also provide jobs and opportunities for people to move to the region. The center will serve as a research hub for the study of renewable energy, geology, hydrology, and archaeology. The laboratory will attract researchers and students from Israel and neighboring countries and promote regional cooperation in the field of renewable energy to leverage development on both sides of the Israel-Jordan border. "Science was what we hoped the donation would go towards; it's a fitting tribute," said Han's niece Cecilia Schott. "All of us in our family want to see peace in Israel. We feel that the work achieved at the center will act as an ambassador for Israel and help extend positive connections for Israel all over the world."